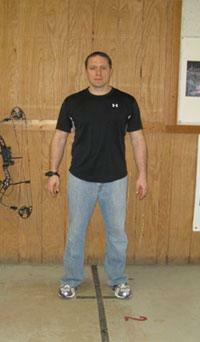 Developing proper archery form is as critical as having a well tuned bow. Without proper form, even the most well tuned bows will not perform with great accuracy. There are many elements involved with good archery form and mastering them all is a tedious process; but when mastered and practiced, good archery form will become second nature to you. If you have a bow with your proper draw length, use the following steps to improve your archery form. 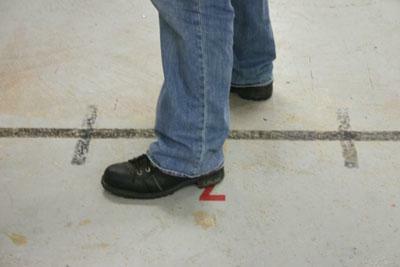 Squared stance = feet are inline with each other, drawing a line perpendicular to the target. Closed stance = Archer’s hips are closed to the target. Open stance = Archer’s hips are open to the target. To find what position your body prefers, follow the simple steps below. You will need a friend to assist you. Locate an archery range with a wide target wall. Place a target in the center of the target wall. Assume your stance that you would use to shoot that target. 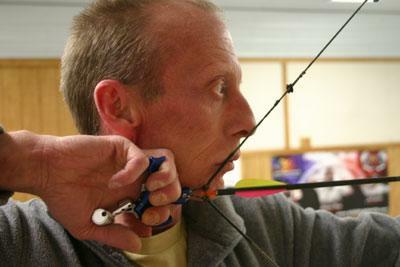 Without moving your feet and keeping your bow pointed in a safe direction, turn around and close your eyes. Turn back towards the target wall and draw the bow to full draw. Have your friend visually make sure that your arrow’s trajectory will hit the target wall. In most cases, if you are a right handed archer, you arrow will have hit a good amount to the right of the target. This was because your feet weren’t positioned at your body’s natural centering point. If you adjust your feet and repeat the eight steps until you are consistently hitting near the target you will discover your body’s preferred stance. Why is this important? It is important because when an archer assumes the wrong stance, he or she is unconsciously fighting their body while it tries to “center” itself. Archery form imperfections show up and affect your arrow flight from the point you release the arrow until the arrow leaves the bow. During the shot, when your hold slips and your body tries to center itself, your arrow will go off course. 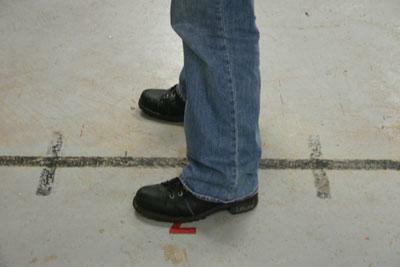 If you have the proper stance, unique to you, you can eliminate this possibility and your accuracy will improve. 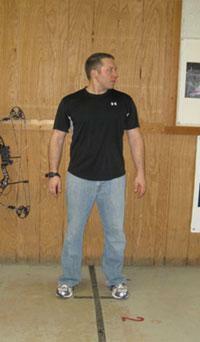 Without your bow and your feet in your desired shooting position, stand upright. Slightly bend your knees to act as shock absorbers. Now look towards the target. This is your head’s natural unstressed position. 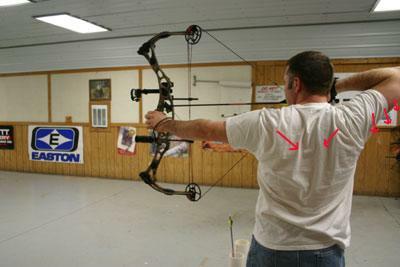 When you shoot your bow, try to keep your head in its centered location. Leaning forward or tilting your head back will stress your body and add to inconsistency. If you do not have the proper grip, you will not only have a hard time tuning your bow, but you will also suffer from inconsistent shooting. 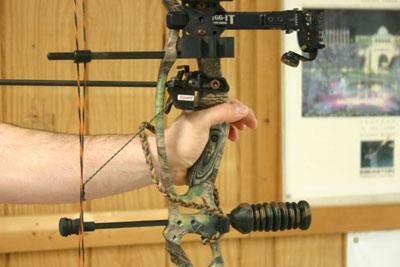 The bow is most accurate when it bounds forward off the holding hand uneffected from hand torque during the shot. Hand torque is the result when an archer either squeezes the grip, holds the bow in the crease / crotch of the holding hand and unintentionally twists or torques the bow during the shot. Think of it this way…. you are on one side of a 4 foot wide creek and intend on jumping across to the other side. The ground that you have to jump off is made up of large rocks, which in this case are to represent the surface of your palm when gripping the bow. Where would you place your foot to ensure you bound off the rocks in a true forward motion? You will bound true if you place your bounding foot in the center of a big stable rock. Same principle applies when gripping the bow. You want your bow (grip) to bound off the center of the meaty part of your palm which is in line with your thumb. This will allow the bow to bound forward truely from an untorqued position. 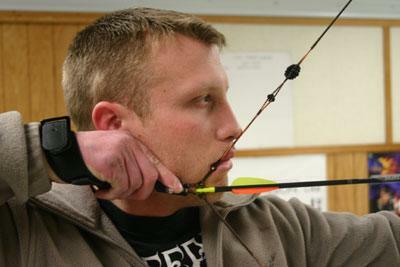 Your fingers should be limp or positioned in a safe area while not grabbing the bow. Do not “shake hands” with or squeeze the bow’s grip. 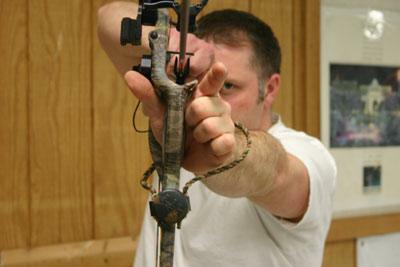 The holding pressure of a fully drawn bow will keep the bow on the meat of the thumb while your other fingers will merely act as a light support. In our opinion, an improper grip is one of the most common archery form flaws and is one of the most import issue that needs to be corrected for proper archery form and optimal arrow flight. 1. Attach your arrow to the bowstring. 2. 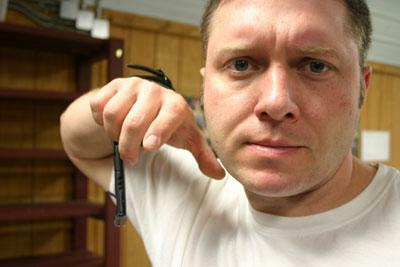 Attach your release to the string or if you’re a “fingers shooter”, grab the string with your fingers. 3. 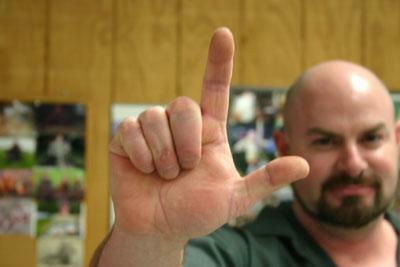 With your holding hand, make an “L” with your index finger and thumb while bending the remaining three fingers. 4. While keeping your hand in this position, apply your hand to the bow grip, allowing it to seat along side of your middle finger and onto the center of the thumb meat. 5. Load pressure onto the holding hand by putting tension on the string. 6. With pressure loaded on your holding hand, you can relax the fingers that were making the “L”. 7. With the bow seated properly on your holding hand, you can now assume your shooting position, draw the bow and shoot the arrow. Anchor points are points of contact between two or more things which ensure consistent positioning between an archer’s body and their bow during the execution of every shot. Lets focus on three anchor points to improve consistency. 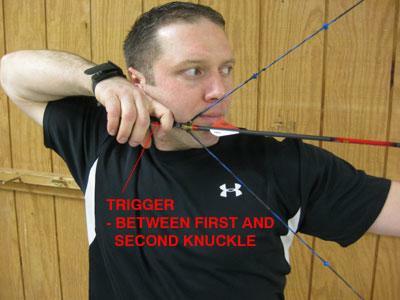 When at full draw, with the proper draw length, an archer should be able to anchor the crotch of the thumb and index finger to the back of the jaw bone (directly below the ear). 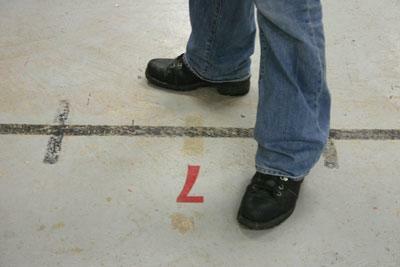 This is a good stable natural anchor point because the two body parts fit together. With the holding hand properly anchored to the jaw bone, an archer can also anchor the tip of their nose to the bowstring. This is another great anchoring point which will result in more consistent shooting. **Some newer bows have shorter axle to axle measurements resulting in more of an acute angle of the string at full draw. This may make it harder to use the tip of the nose to the string as an anchor point. A kisser button is a 1/2 inch in diameter plastic disc which is crimped to the bowstring in a location where it can rest between the lips at full draw. 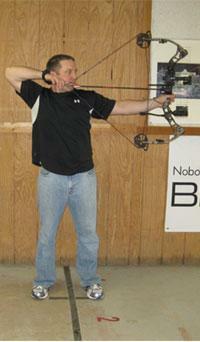 It provides a good anchoring point but does slow the bow down by adding more weight to the string. **Suggestion – If you can achieve hand to jaw and nose to string anchors, you can disregard installing a kisser button and maintain optimum speed. 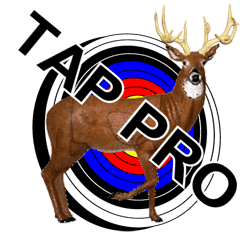 Having your peep sight in the wrong location will affect your archery form. Visit our how to install a peep sight page for detailed instruction on how to set your peep sight. When pulling the trigger of a release, you should wrap your index finger around the trigger. The trigger should settle between the first and second knuckle of the index finger. If this is not possible, your release should be adjusted either by shortening or lengthening the release. When the release is too long and an archer uses the tip of their finger, they are applying pressure to the trigger in a matter which it is not designed to function. 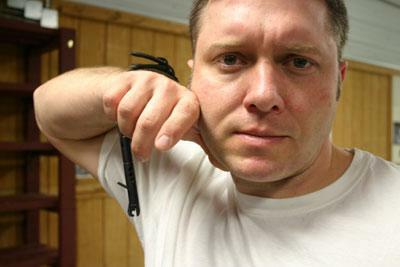 For best results, pull the trigger with a curled index finger. When mastered, shooting with proper back tension will deliver consistent results. Here are some steps to try in order to achieve proper back tension. 1. With arrow nocked, draw your bow back and take aim. 2. Slightly bend your holding arm’s elbow. (from a locked elbow position to a slightly bent elbow position, your holding hand will move towards your body around 1 1/2 to 2 inches). 3. While holding, try to equalize the push of your holding hand to the pull of your drawing hand while maintaining a slight bend in the holding arm’s elbow. 5. During the contraction of your back muscles, squeeze lightly on the trigger of your release. With a light continual squeeze you will ensure yourself that you do not punch the trigger. While squeezing, the release should surprise the archer when it releases the arrow. 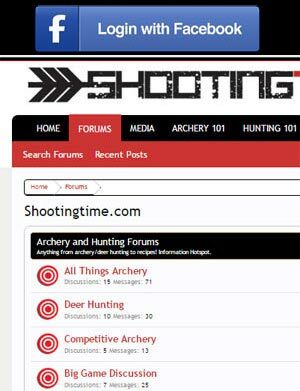 **Summary – Master all of the above and you should see your archery form and accuracy improve. Relax if you do not achieve overnight improvement; proper form takes time to develop. If you are having difficulties, ask an accomplished archer for help. If you practice with proper form, your brain and muscle memory will eventually program it to happen with every shot. 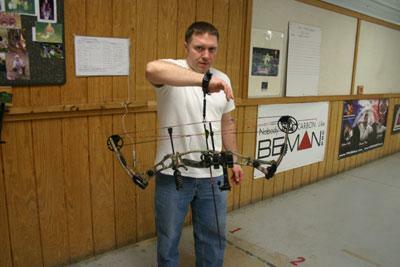 Be sure to brush up on these other bow tech basics.